How Smoking Increases the Risk of Oral Cancer Love your new smile? Tell us about it! 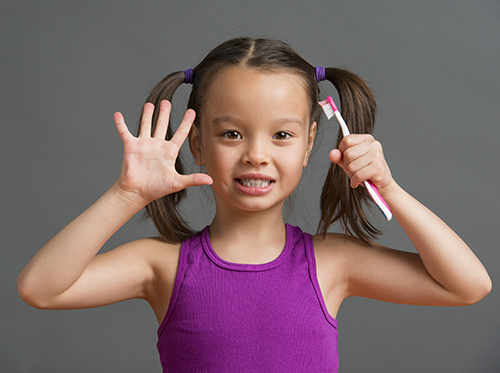 Children’s oral health differs from that of adults in a variety of ways. Dr. Robert Batton, Dr. Justin Harlin, and Dr. Matt Wilkinson and our team want you to understand how you can provide the best care for your son or daughter’s teeth. It’s essential to understand what your child will need from you when it comes to his or her oral health in those first few years. In-home dental care begins when your baby starts to show signs of developing the first tooth. We recommend that you bring your child to our Fort Worth, TX office between the ages of one and two. Dr. Robert Batton, Dr. Justin Harlin, and Dr. Matt Wilkinson will take a look at your child’s tooth development and gums during this first scheduled appointment. Once your child is old enough for his or her first visit to the dentist, you should begin to schedule regular cleanings every six months. If any problems arise before a scheduled appointment, call our Fort Worth, TX location and we will be happy to answer any questions you may have.